WEST FARGO, ND (July 19th) – It was the night we have all been waiting for. 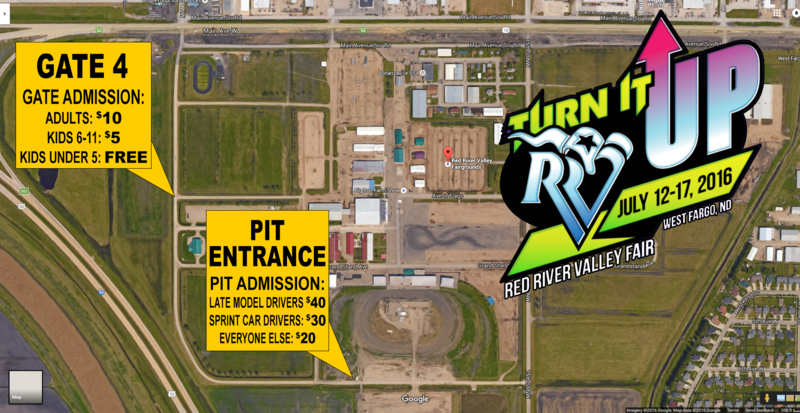 It was the night we’ve had circled on our calendars since the 2016 Red River Valley Speedway (RRVS) schedule came in out February. It was the night where the upper Midwest’s two biggest touring series would come together for the first time in RRVS history. And it was everything we’d hoped it would be; and more! 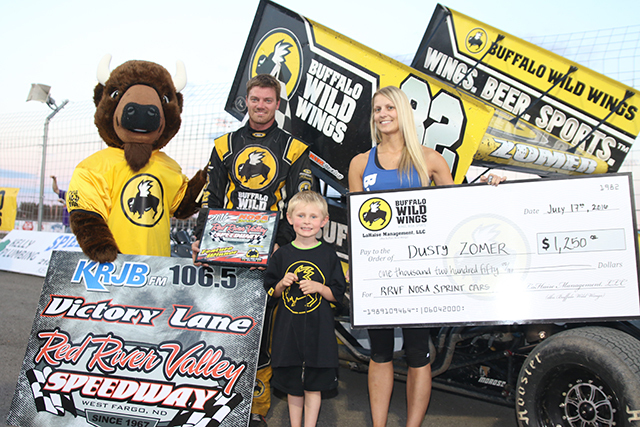 An estimated 4,500 race fans came out to RRVS Sunday evening for the NOSA Sprint Car/NLRA Late Model special, presented by Buffalo Wild Wings and the Red River Valley Fair. A RRVS record 33 NOSA Sprints and 29 NLRA Late Models packed the pit area, along with 17 IMCA Hobby Stocks/Pure Stocks. 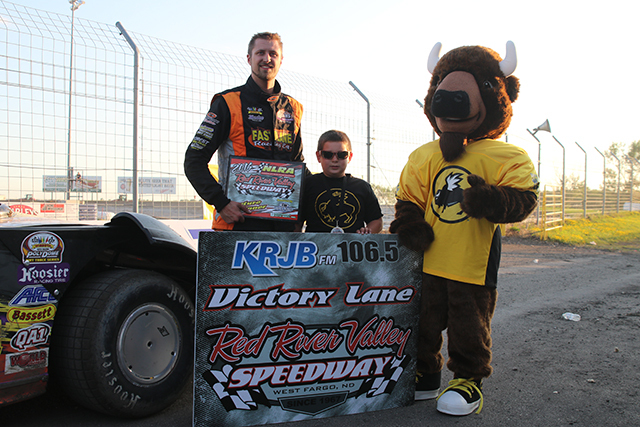 Dusty Zomer, Dustin Strand, and Kasey Ussatis all visited KRJB 106.5FM Victory Lane. The event brought in the area’s biggest names in racing, including seven-time and defending World of Outlaws Craftsman Sprint Car champion, Donny Schatz, who had won the $50,000 Kings Royal at Eldora Speedway less than 18 hours prior. The field of 33 Sprint Cars was trimmed to the fastest 24 for the 25-lap A-main. Minot’s Greg Nikitenko grabbed the early lead over 20-year-old pilot Jordan Adams as Thomas Kennedy and Wade Nygaard raced for third. Three laps in, Kennedy and Nygaard made contact in turn four, which sent Nygaard spinning to a stop bringing out the yellow. Nygaard was sent to the tail of the field, but still rallied to finish in fifth. Once out front, Zomer built up a lead he would not relinquish as he went on to claim his first-ever RRVS win and sixth career NOSA victory, putting him 15th on the all-time wins list. Prior the 2016 season at RRVS, Dustin Strand had claimed the last checkered flag ever waved at the 3/8th mile oval when the track saw its last race to date on August 25, 2012. 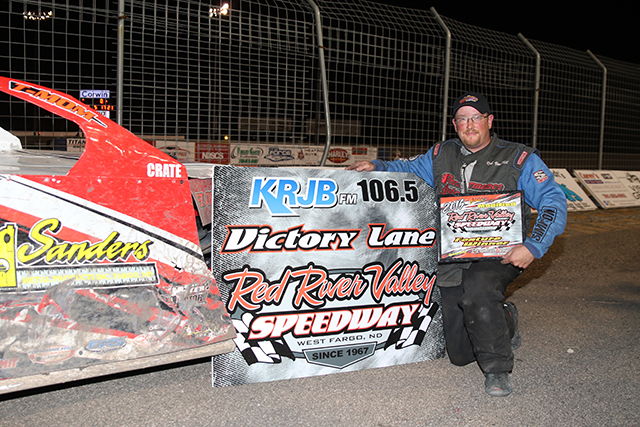 Since then a lot has changed at RRVS, but Strand still knows how to find victory lane. Strand started outside of the front row and took off as soon as the green flag waved. Within four laps, the two-time and defending NLRA champion had amassed a full straightaway lead over current series point leader, Brad Seng. Seng closed in slightly in lapped traffic, but was never able to mount a serious threat on Strand. 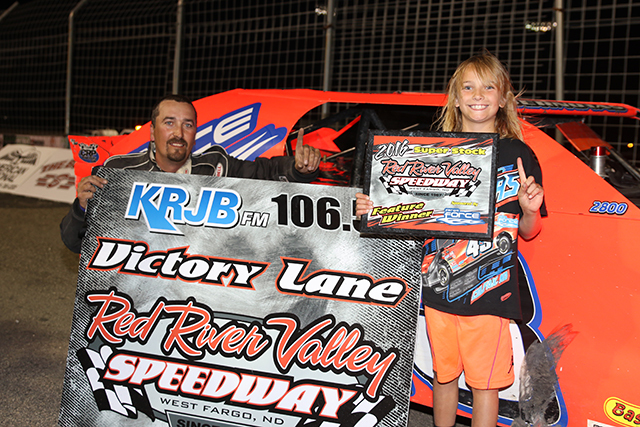 Strand went on to take the victory; his second in a Late Model and third overall on the RRVS 3/8th mile configuration. 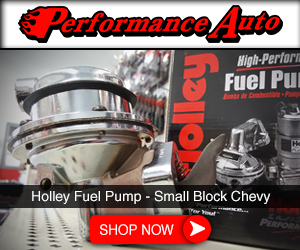 The A Transmission City IMCA Hobby Stocks/Pure Stocks had a wild main event. It all started with a four car pileup on lap two, which brought the race to its first caution. The destruction continued on the restart when Dan Dowling and Billy Carou were fighting hard for the lead. Dowling’s #5X snapped around on him in turn four and he was met head on by Austin Veralrud, who then was collected by Brad Orvedal. Veralrud’s #6 burst into flames, but the West Fargo Fire Crew was quick to the scene to extinguish the flames. Kasey Ussatis and Carou then put on a great show as the battled for the lead. Ussatis cleared the #7C of Carou with three laps to go to take the win. 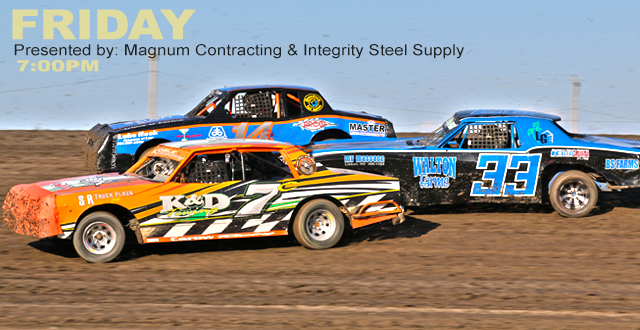 Racing continues this Friday night, presented by M&J Auto Parts and All Finish Concrete. 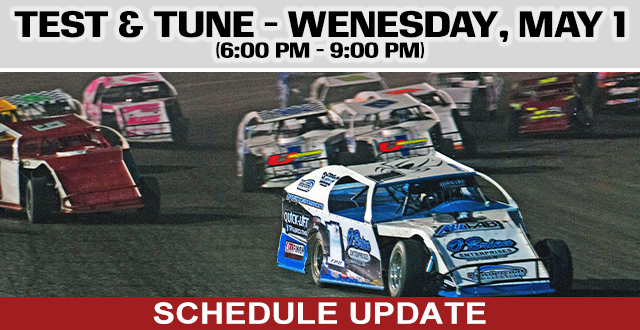 Green flag flies at 7pm! Then, proceed as normal to the Pit Entrance sign-in shed. 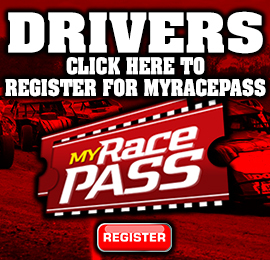 WEST FARGO, ND (June 24) – For the first time since August 25th, 2012, the WISSOTA PolyDome Dirt Track Series was back in action at Red River Valley Speedway. A total of 96 cars were signed in to compete in front of an estimated season high of 1,200 fans. 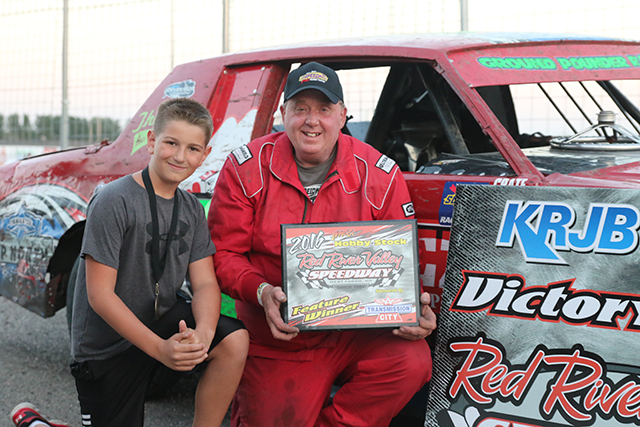 Cole Schill and Brian Bernotas took the WISSOTA wins, while Rob VanMil, Luke Johnson, and Tim Church took the Speedway Motors IMCA Weekly Racing victories. Twenty-five WISSOTA/NLRA Late Models made up the starting grid for their 25-lap main event. Schill and Allen Kent led the field to the green and they battled door to door into turn one. Schill came away with the advantage, but Kent hung tough on the outside for the first three circuits. Schill finally cleared the Minot, ND runner in turn one and drove out to a comfortable lead. The first and only caution was displayed on lap seven as Kent and Shane Edginton lined up right behind Schill for the restart. Edginton took off on the restart as he took second from Kent and looked for the lead in turn three. However, Schill fended off the charge as he rode the low side of the speedway. Meanwhile, Brad Seng and Dustin Strand were on the move. 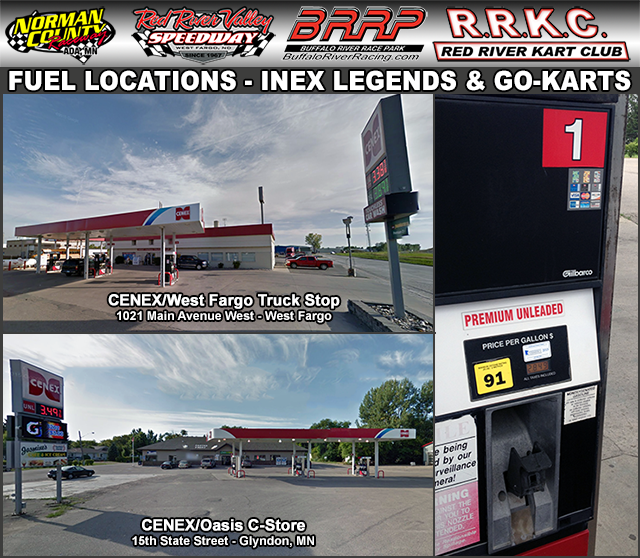 The two Grand Forks drivers each gained 10 positions in the first nine laps from their 15th and 18th starting spots, respectively. At the halfway point, Seng got a huge run off the top of turn two and propelled himself from fifth to third in one lap. The current NLRA point leader then set his sights on the Performance Auto #4 of Edginton. With seven to go, Seng made the pass for second and it looked as though he would have enough time to catch Schill. But Schill made some key moves in lapped traffic that sealed the deal as he came to the checkers with the crowd on its feet, cheering on their hometown driver. Seng finished second as Don Shaw came from 12th to third. 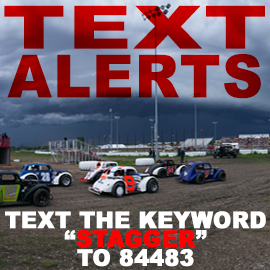 Edginton and Zach Naastad rounded out the top five, while Dustin Strand wheeled is way from 18th to sixth. 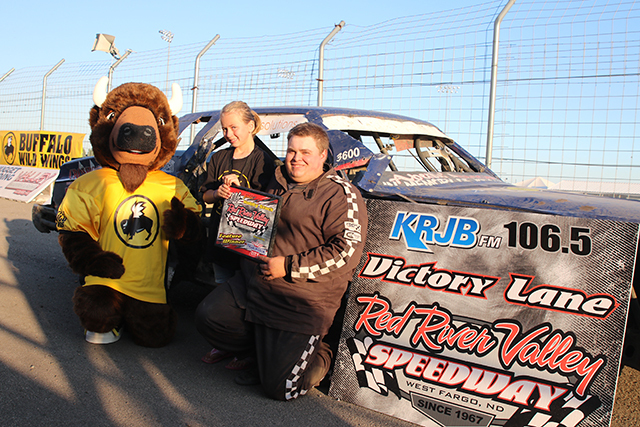 Joe Pellman led the opening lap Fargo Force WISSOTA Super Stock main event. Pellman was overtaken by Jeff Crouse on lap two, but Crouse too was quickly passed for the lead by Brain Bernotas on lap three. Numerous cautions plagued the event, but Bernotas was able to take off each and every time to protect the lead. Bernotas took his fourth career win at the 3/8th mile oval over “Wild Bill” Wadeson, Pellman, Tim Compson, and Al Cleveland. The IMCA Modifieds were 30 cars strong for their 25-lap main event. After a five wide fight for the lead on the opening lap, all signs pointed to back to back wins for Michael Greseth as he came from seventh to the lead in just two laps. From there Greseth opened up a whopping nine second lead over Rob VanMil and Dev Malmlov, but a caution with two laps to go changed everything. Under caution Greseth lost the drive shaft just as the caution lights went out for the green-white-checkered restart. VanMil then inherited the lead and held off Michael Johnson, who started back in 16th, as John Corell, Rich Pavlicek, and Dev Malmlov rounded out the top five. Greseth was scored a heart-breaking 17th. Jason Strand was the hard charger of the race, advancing from 28th to eighth. 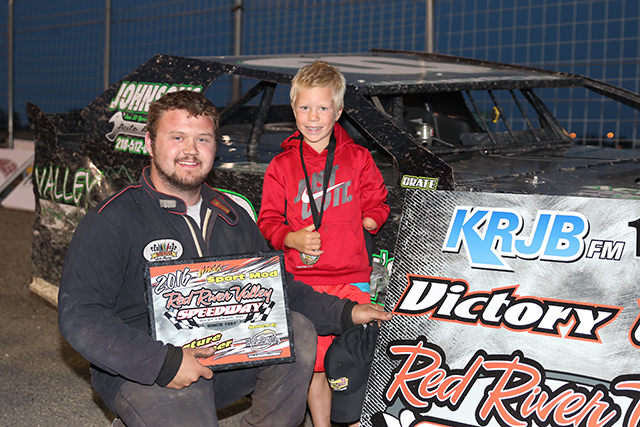 Luke Johnson held off Robby Rosselli in the final laps of the IMCA Sport Mod feature. Moohead, MN driver took the lead with a three wide pass on the opening lap and led every circuit, but took the win by a mere 0.360 seconds. 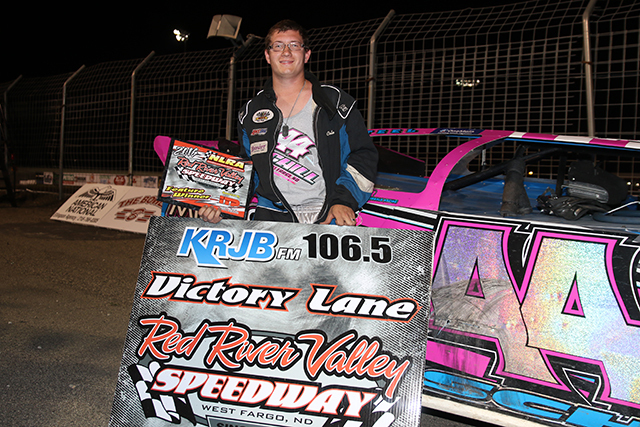 Fifty-one year old IMCA Hobby Stock rookie, Tim Church led every lap of the A City Transmission main event. Church took his second win of the season over Brandon Schmidt, Billy Carou, Brad Orvedal, and Keith McCleary. The next race at Red River Valley Speedway will come Sunday, July 17th as the NOSA Sprint Cars and NLRA Late Models team up for a Red River Valley Fair special event. The $10 fair gate admission gets fans into the races for free. 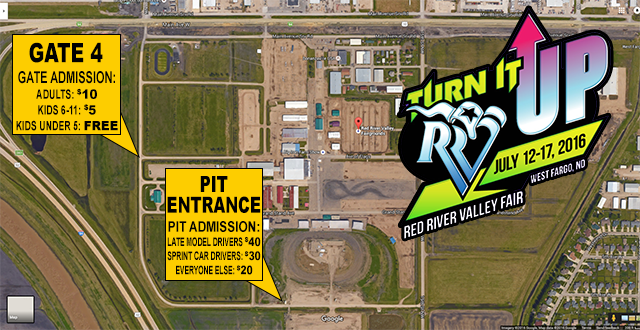 Racing is back at the Red River Valley Fair! Come out to the Fair with your friends and family to enjoy a night of racing. 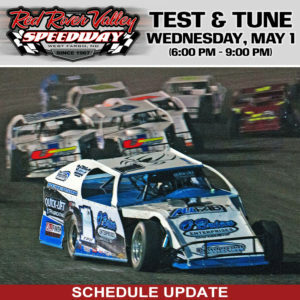 NLRA Late Models will be joining the NOSA Sprint Cars for this race event along with the IMCA Hobby Stocks/Pure Stocks. 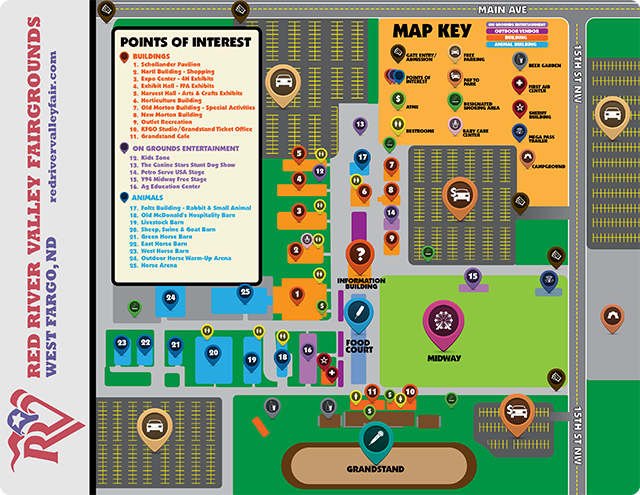 Grandstand gates open at 4 pm and racing will begin at 5. 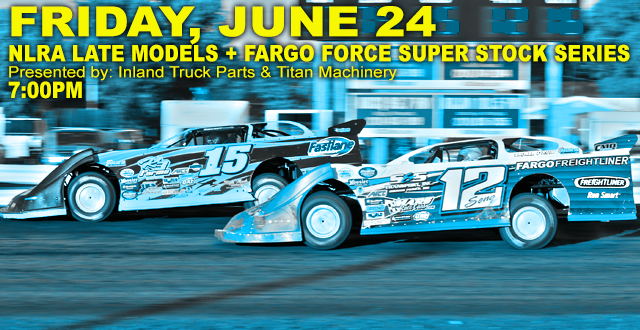 The NLRA Late Models plus the Fargo Force Super Stock Series is presented by: Inland Truck Parts & Titan Machinery. 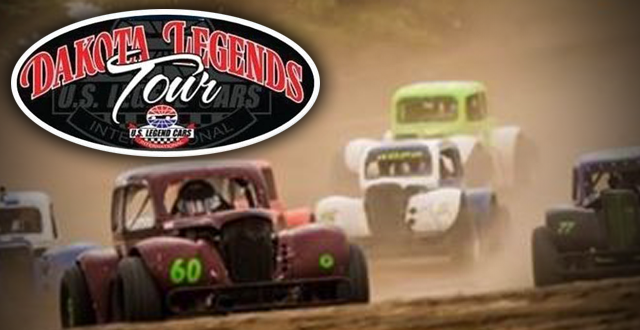 There will be no Legend track points awarded at Norman County Raceway and Red River Valley Speedway (Thursday, June 16 & Friday, 17th) because of the Dakota Legends Tour. 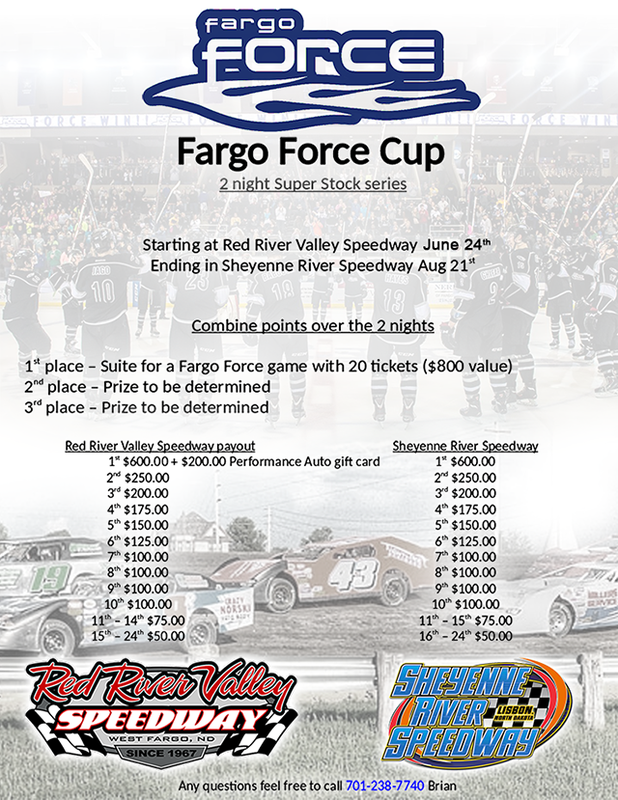 The first night of the Fargo Force Cup Super Stock Series has been rescheduled for Friday, June 24th. 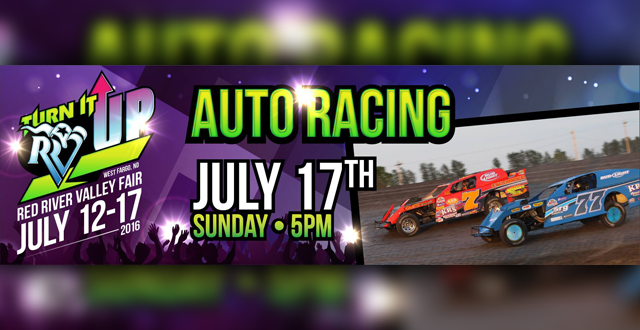 In addition to the Super Stocks, the NLRA – Northern Late Model Racing Association will also be in town that night. 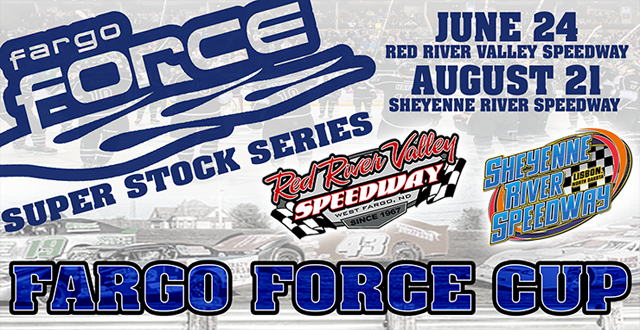 (Presented by Inland Truck Parts & Titan Machinery) Mark your calendars because June 24th is going to be a big night of racing at the Red River Valley Speedway and it all kicks off at 7pm!